Cheng Man Ch’ing was one of the legendary teachers of Tai Chi and was largely responsible for popularising it in the West when he moved to New York in the 1960’s. Indeed, he is credited with devising the shortened form of the Yang style that is the most-widely practiced. 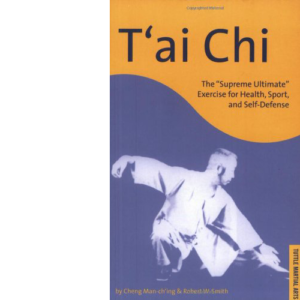 The book not only covers the single-person form but also addresses the combative, “Pushing Hands” style of Tai Chi boxing and Tai Chi for self-defence. There are two short, but excellent, chapters on the principles of Tai Chi, but the majority of the book is devoted to teaching the solo practice. 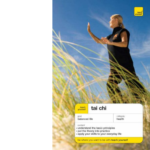 It features hundreds of photos of Cheng in the different postures of the Tai Chi form and includes foot diagrams, but the descriptions of the moves are sometimes a little difficult to follow. Authentic and thought-provoking.